​please fill out the form below and we will be in touch within 24 hours. 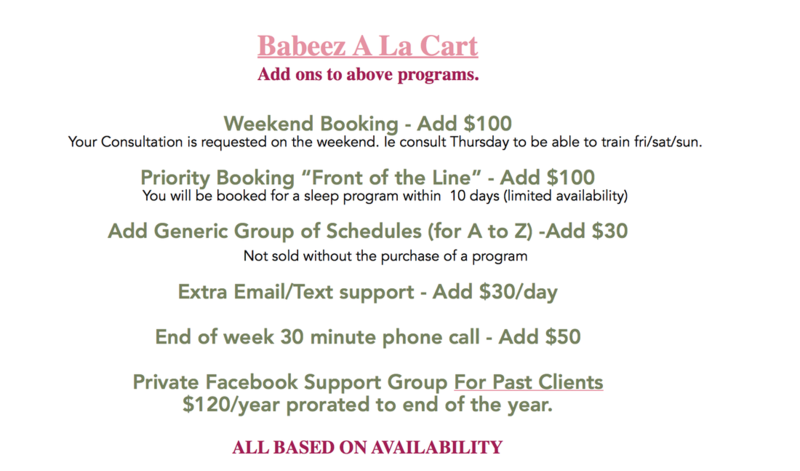 A to Zzzz 30 min Question Session with DEBBIE $80 Sleepy Babeez Take it Ezzz Babeez On Track I have questions re: the programs listed above. The information in this page is confidential and may be legally privileged. It is intended solely for the addressee in which the link was sent to access this page. Access to this page by anyone else is unauthorized. Any disclosure, copying, distribution or any action taken or omitted to be taken in reliance on it is prohibited and may be unlawful. Please note rates can change at any time.